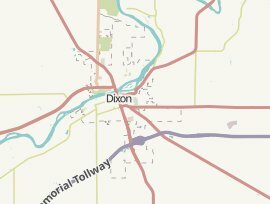 There are currently 11 branches of 8 different banks in Dixon, IL. The First National Bank in Amboy has the most branches in Dixon. The top 5 banks in Dixon by branch count are; The First National Bank in Amboy with 2 offices, Sterling Federal Bank with 2 offices, Midland States Bank with 2 offices, Community State Bank of Rock Falls with 1 office and Woodforest National Bank with 1 office. Below, you can find the list of all Dixon branches. Click on the list or map below to view location hours, phone numbers, driving directions, customer reviews and available banking services.